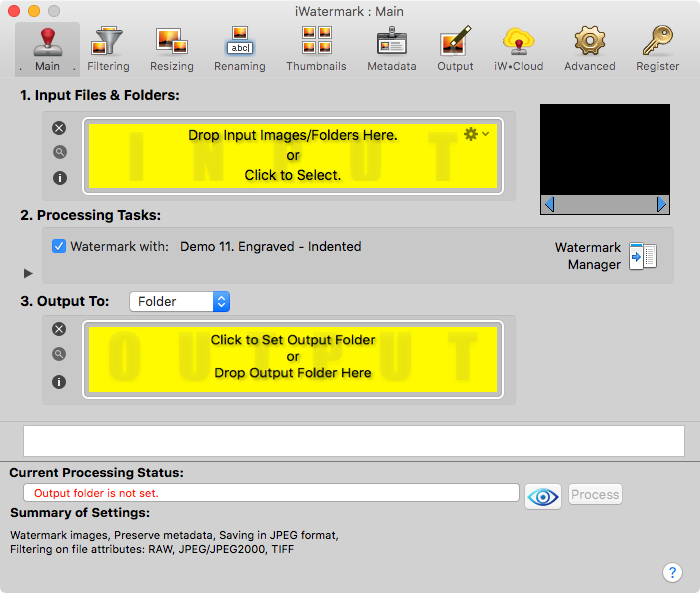 iWatermark Pro 2 for Mac. Use 11 Watermark Types to Protect Your Photos. San Francisco, CA – iWatermark, is the No. 1 and only watermarking tool available for all 4 platforms, iPhone/iPad, Mac, Android and Windows. iWatermark is the most popular multi-platform professional watermarking tool for photos. Easily, secure and protect your photos with Text, Graphic, Vector, Lines, Border, Text On Arc, Text Banner, QR Code, Signature Metadata and Steganographic watermarks. Once added to a photo this watermark shows it was created and is owned by you. The watermark types in iWatermark are not found in any other software. Some watermarks are visible and others invisible. Both serve different purposes. A visible watermark is where you superimpose your logo or signature onto your image. Text – Any text including metadata with settings to change font, size, color, rotation, etc. Text Arc – Text on a curved path. Bitmap Graphic – A graphic is usually a transparent .png file like your logo, brand, copyright symbol, etc. To import. Vector Graphic – Use over 5000 built-in vector (SVG’s) to display perfect graphics at any size. Border Graphic – A vector border that can be stretched around an image and customized using a variety of settings. Lines – Very popular with stock photo houses this is a subtle but hard to remove watermark. Banner – Adds a banner area to any photo where text can be added. QR Code – A kind of barcode with information like email or url in it’s coding. Signature- Sign, import or scan your signature into a watermark to sign your creations. An invisible watermark is hidden throughout the picture, within the numbers that create the photos, is a recognizable pattern that identifies it as being your artwork. It is harder to remove. Metadata – Adding information (like your email or url) to the IPTC or XMP part of the photo file. StegoMark – StegoMark is our proprietary steganographic method of embedding information like your email or url into the picture data itself. It can be available or hidden with a password. iWatermark is a specialized tool to watermark photographs. Less expensive, more efficient, faster and simpler to use then PhotoShop. iWatermark is designed exclusively for watermarking by a photographer for photographers. * Batch or sequential processing. * IMPORTANT: Relative or absolute scaling of watermarks. Essential when batch processing different resolution and orientation photos. * Design, edit and manage a library of watermarks. * Tags are metadata (GPS, Exif, XMP, numbering, date/time) that can be added to text watermarks. * Resize from input to output. * Rename files from input to output. * Input/Output from/to all major file types JPEG, TIFF, PNG, RAW, etc. * Create text, graphic, or QR watermarks. * Export watermarks and use in the Mac version. * Fast 32/64 bit multi-threaded app that can use multiple CPU/GPU’s . * User selectable color profiles. * Great manual and support. * Share to Facebook, Flickr, Instagram, Twitter and many more. * Watermark manager which can track hundreds of watermarks. The manager also allows locking/unlocking, embedding IPTC/XMP, searching, renaming, deleting, previewing, merging, exporting, batch processing and sharing of watermarks. * Embed IPTC/XMP data each time it’s used with or without a visible watermark. Great for news organizations. * Continually updated and improved. Q: What is a watermark? Centuries ago watermarks started as identification marks applied during the paper making process. During paper manufacturing wet paper was stamped with a seal/symbol. The marked area stayed thinner than the surrounding paper, hence the name watermark. That paper, when dry and held up to the light, showed the watermark. Later this process was used to verify the authenticity of official documents, money and generally to prevent forgery. Q: How is watermarking used today? Digital watermarking is the latest form of watermarking. Similar to the physical watermarks in paper, digital watermarks are used to identify the owner/creator and authenticate digital media like images, audio and video. – When Photos/Videos go viral they fly off untraceably in all directions. Often, the owner/creator info is lost or forgotten. – Avoid the surprise of seeing your photos, artwork or videos used by others, in physical products, in ads and/or on the web. – Avoid intellectual property (IP) conflicts, costly litigation and headaches from plagiarists who claim they didn’t know that you created it by adding visible and/or invisible watermarks. – Because the expanded use of social media has accelerated the speed with which a photo/video can go viral. ✔ Adding a watermark subtly displays, no matter where your photo or video goes, that it is owned by you. ✔ Always, watermark with name, email or url so your creations have some visible legal connection to you. ✔ Promote and protect your company, name and website by watermarking all photos/videos you release. ✔ Digitally sign your work/photos/graphic/artwork with iWatermark, reclaim your intellectual property and maintain the recognition you deserve. ✔ Easily, secure and protect your photos with visible & invisible watermarks which display they were created and are owned by you. – Updated Tags in iWatermark Text editor for GPS (Alt. Speet and Lat.) and Current (date, time, year, total) and File Attributes. – Enabled rotation and scaling gestures in Text, Graphic and Vector watermarks. And Smart Zoom for turning scaling on/off. – Enabled Quick Look at preview click smart Zoom on input preview. ie. Force Click and haptic feedback. – Fixed sorting order of Watermark manager ICON column. – Enabled Counter in Rename Tab all the time, since it also used in Mata Data Tags. – Added Tags for Creation Month, Creation Day and Month## and Day##. to allow <year>.<month##>.<day##>to produce 2017.03.10 in text tags. – Fixed text Editor background color also switching off Dropshadow. – Added watermark key backgroundOnOff – boolean to track if alpha is Zero (off). – Enabled Counter in Rename Tab all the time, since it is also used in Meta Data Tags. – Added tag for 7 digit GPS ‘<Latitude7> <Longitude7>’, ‘<Latitude> <Longitude>’ give 3 digit accuracy. 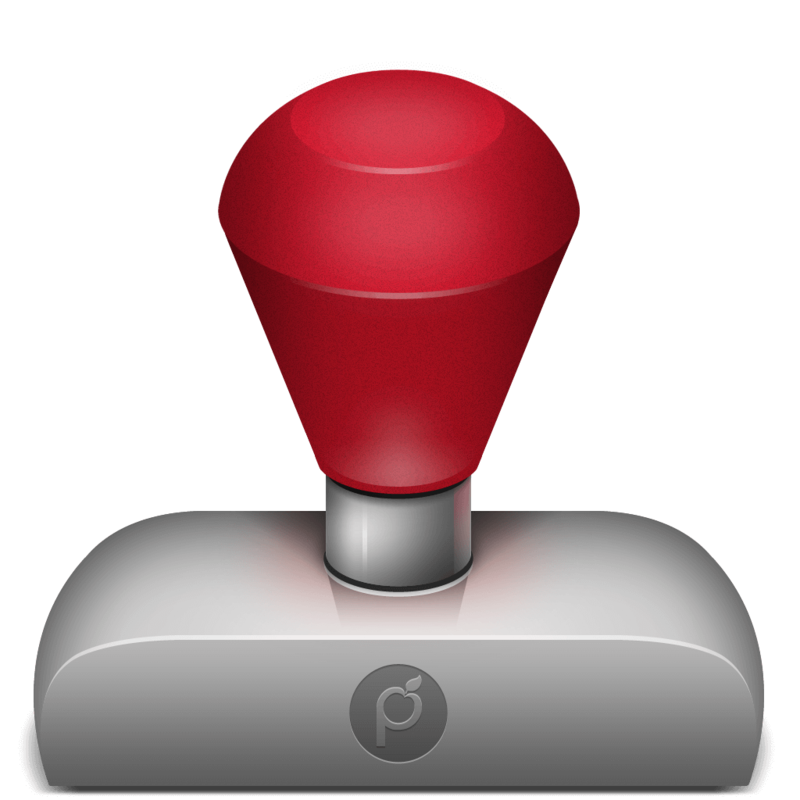 – Enabled rotation and scaling gestures in Text, Graphic and Vector watermarks. And Smart Zoom for turing scaling on/off. – Editor: Performance: Enabled caching of source image in editor for faster redrawing. Most noticeable when source is large RAW image. Perfect for use with Canon Inc., Nikon Inc., Olympus Inc., Sony Inc., Samsung, SLR, regular cameras and all Android smartphones and tablets. Plum Amazing, Llc is a privately held company dedicated to creating Mac, Windows, Android and iOS apps. Plum Amazing is a worldwide provider of mobile and desktop applications since 1995. Plum Amazing creates and sells software via it’s own and Apple’s website but also does development work (programming) for other companies and clients especially in the area of photography. We have a passion for creating great products like CopyPaste, iWatermark, yKey, iClock, TinyAlarm, TinyCal, PixelStick and others. Copyright (C) 2017 Plum Amazing. All Rights Reserved.